Working with a top-quality locksmith should be an important part of any successful business plan. You can reach 7 Day Locksmith at any time by calling (866) 306-8557 for local commercial locksmith services, including lockouts, lock upgrades, and key duplication. Businesses rely on the security locks provide for safe and confident daily function. Whether you own a small boutique or a large manufacturing firm, maintaining your locks is necessary to protect your company’s resources and privacy. San Diego Locksmith is pleased to offer commercial locksmith services for businesses throughout Southern California, including 24/7 emergency service, keyless entry, key duplication, and electronic door locks in the San Diego Area. Not all locksmiths are trained specifically in commercial locksmith services. A commercial locksmith San Diego offers your business the benefit of an experienced professional with the knowledge necessary to secure your business, both inside and out. Commercial locksmiths can help you determine the type and placement of locks that will achieve your business security needs, whether you simply want to secure your office entrance after hours or require a timed or electronically-locked safe for cash or document handling purposes. ty systems that could benefit your business, such as electronic locks, keyless entry options, and biometric sensors. Commercial buildings are typically larger and more complex than residential homes. A commercial locksmith has the equipment and resources necessary to tackle a business project of any size effectively. Keyless entry systems offer both convenience and security for your commercial property. A keyless lock may require an entry code or electronic card tap to allow access to any area of your property you desire, making commercial security easier and more effective. 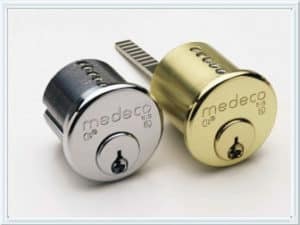 Keyless locks receive less wear and thus will last longer than physical locks, which may need to be replaced more often due to damage, rust, or other types of wear. Because a keyless entry system requires no key, it eliminates the likelihood of lost or stolen keys. Keyless entry systems also improve general convenience, as you are no longer required to carry keys for access to any area of your business. Many keyless systems keep an access log or send you alerts when a door is opened or closed, allowing you to easily track employee movements and building usage. Keyless entry systems don’t require replacement when an employee leaves to maintain security. Rather than changing the entire lock, the keyless entry code can be changed or the tap card system updated quickly and easily to maintain security. does not go to waste. One of the most important aspects of your business is your office. This acts as your base of operations for all the developments in your business strategy and performance. This is why it is imperative that you keep it safe. But how are you supposed to keep it safe if its keys are not up to standard. 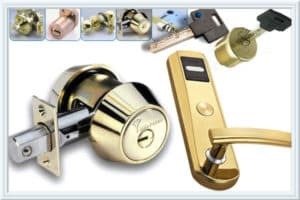 This is why you need a commercial locksmith San Diego to make sure that your business does not succumb to intruders and burglars, who may end up harming your employees and your business. Remember that your business houses several important things, like sensitive documents and specialized equipment, which are necessary for your business to run. If someone were to break in, you can never know what kind of impact that would do to your business. In order to prevent all this, give us call at 7 Day Locksmith. While other locksmiths might only performs a few services, like emergency lockouts, we provide a holistic and comprehensive set of solutions to ensure that you can stop worrying about your security and focus your efforts on helping your business grow. when keys get stuck in locks or someone mishandles them, we need to be able to replace those. If you want to make sure your employees are the only ones who can get into your home, you can opt for a keyless entry system or biometric clock system service and installation. While you may be thinking that that is the extent of what we can possibly offer, you are wrong. We provide even more activities that point to 7 Day Locksmith being the number one commercial locksmith San Diego. We can do all sorts of other things like install panic locks on your doors and place locks on your office garage. We can also help maintain access control systems that could help you have better control over who goes in and out of your business. Overall, you will notice that all our services are meant to help you. We want you to be able to continue working on the growth of your business without having to worry too much about security. So do not worry. Leave it to us. We will care for your business.